Most South Carolina families and employers find themselves in a healthcare No Man’s Land: They earn too much to qualify for Medicaid but struggle to pay healthcare premiums that seem to rise every year. What can be done? Some politicians tell us—with a straight face—that the time has come for the government to increase its role, promising that Washington or Columbia can do healthcare better than the private sector. This report explores the free market alternatives better positioned to lower our healthcare costs, while improving health outcomes. Up with Direct Primary Care. 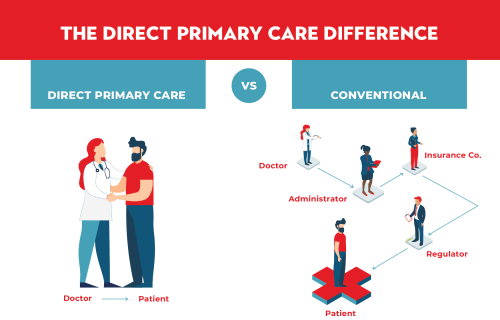 DPC eliminates the middleman, allowing individuals to deal directly with a doctor for a simple, affordable and manageable experience, rather than with complicated insurance forms and rules. Down with Certificate of Need. 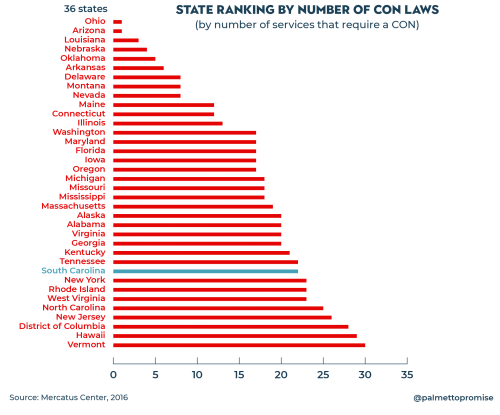 CON laws do not achieve their intended charitable outcomes, but rather decrease the supply and availability of healthcare services for everyone, especially the poor. By lifting these restrictions, we can allow new providers to begin operating and increase healthcare access for South Carolinians across our state. Yes to a host of other cost-savings reforms. Christian healthcare sharing, Right to Shop, charity care, and healthcare brokerage reform—all free market-based—also offer great promise in protecting the “smalls” (families and family businesses) from the “bigs,” (big government and big healthcare). This report covers the keys to better health outcomes for all. Introduction: It’s about access to quality care, not just coverage. The discussion about healthcare reform in South Carolina has been dominated by a debate over whether the state should expand Medicaid under the Affordable Care Act to 170,000 able-bodied, working-age adults. Unfortunately, this has sidelined more substantive conversations about how to provide true care—not just insurance coverage—to South Carolinians who lack access, quality, and control over their healthcare decisions. Regardless of income or socio-economic status, everyone deserves the opportunity to chart their own healthcare course. 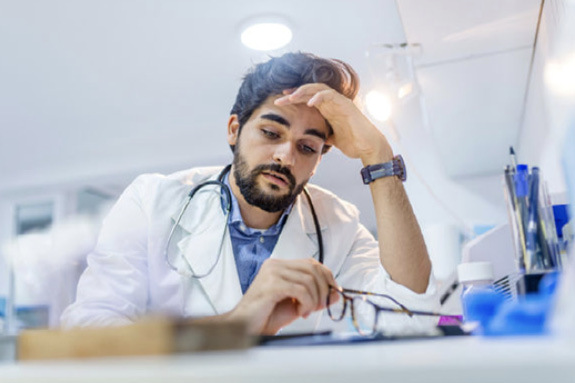 A startling 55% of physicians across the country now claim they will not accept new Medicaid enrollees. Medicaid patients report more difficulty obtaining an appointment with a specialist than patients with private healthcare coverage. 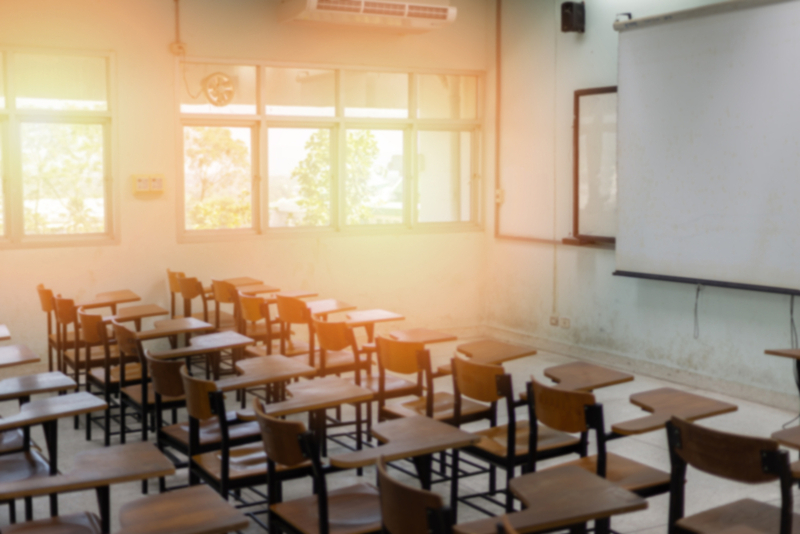 Palmetto Promise Institute understands the challenges lawmakers face in extending access to the poor, as well as those living in rural areas of our state. We believe this can be addressed by lifting antiquated Certificate of Need laws that limit access to care for low-income families and rural communities, and embracing Direct Primary Care, an exciting new reform that would deliver greater access, quality, and control to low-income earners currently being considered for a Medicaid expansion. 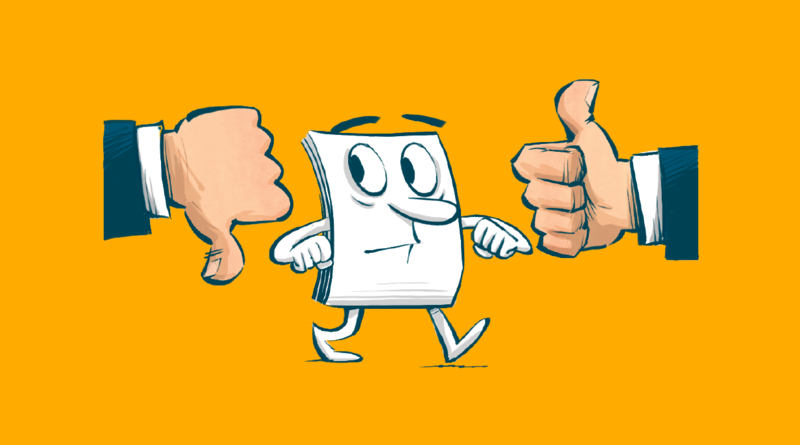 The direct care system eliminates the middleman, allowing individuals to deal directly with their doctor, rather than with complicated insurance forms and rules, for a simple and manageable experience. Functioning much like a gym membership, individuals pay a monthly fee for access to expert physicians, averaging $40 to $80, which can be less than the cost of proposed premiums or copays for the same individuals under a Medicaid expansion. Because individuals get to know their doctors, they can trust that their healthcare concerns will be heard, and they will be cared for, not just covered. Direct care addresses rising healthcare costs by providing transparent, predictable costs patients can understand, afford, and rely on. Surgical procedures are often one-sixth to one-tenth the cost of a typical hospital charge under this system. Similarly, the state’s forty-year-old Certificate of Need law, while perhaps well-intentioned, has neither kept prices for medical treatment down nor provided support for those who cannot afford to pay.Christian Healthcare Sharing, Right to Shop, Charity Care, and Healthcare Brokerage Reform—all free market-based—also offer great promise in protecting the “smalls” (families and family businesses) from the “bigs” (big government and big insurance). These reforms will directly address the growing problems with our healthcare system, providing greater access to quality care for all South Carolinians, not just expensive insurance coverage for some. In most cases, these innovations already exist to thrive in South Carolina, but must be shared and protected. Few seem to be aware of these opportunities except for government regulators and defenders of the status quo. It is time to get the word out about healthcare freedom initiatives and for legislators to protect the free market so that South Carolinians can be empowered to reclaim control over their healthcare decisions.